Over the next few weeks U2 will take to the stage in Belfast and Dublin with their eXPERIENCE + iNNOCENCE Tour. Tickets are completely and utterly sold out, but have no fear! 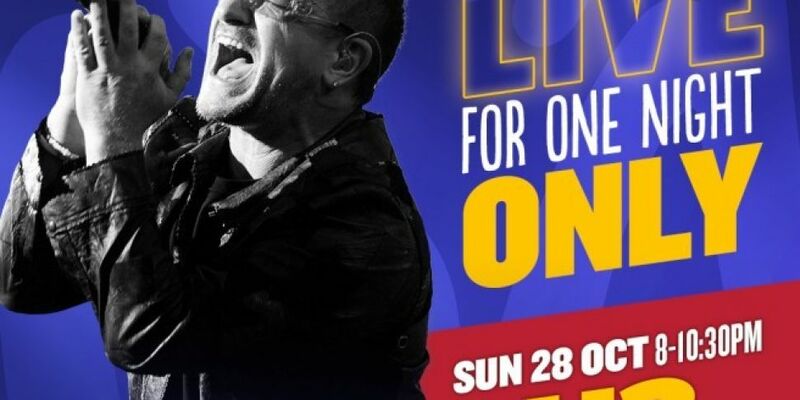 This Sunday at 8pm Today XM presents U2 Live for One Night Only – The Ultimate Setlist. We have put together a seamless show from live recordings spanning the last 38 years, featuring tracks from every one of their 14 albums. We’ve even had them address the Trump situation in this virtual show. Expect all of their iconic singles, and a few surprises. The perfect pre-gig preparation if you’re going and the perfect comfort if you’re not. Listen live in your living room, blare it on your speakers, tune in in the car, no matter where you are this weekend, and make sure you’re tuned in to Today XM. Get Stuck in a moment you can't get out of, on todayfm.com/XM, or on the Today FM App, by pressing the More Music button on the top left corner of the screen and selecting Today XM.